Melbourne will be a blank canvas for global graffiti artists when they descend on the city in January for a $250,000 street-art festival. 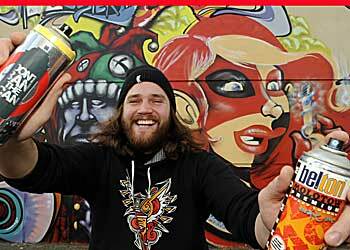 The legal Don’t Ban the Can event will see graffiti artists from New York and Tokyo come to Melbourne to showcase their work in events at suburbs from Frankston to Footscray. More over at Dont Ban The Can here.